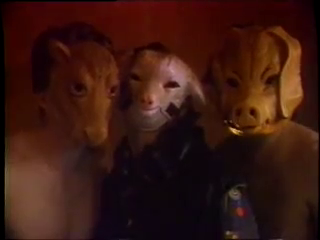 Move over, David Lynch. Decades before you and your Crazy Clown Time, George McFly did Clowny Clown Clown. 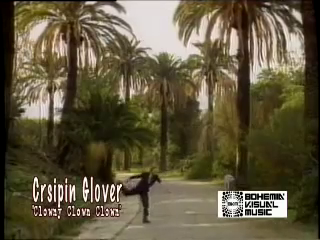 Glover brought us this glorious piece of songwriting and the corresponding music video to us earthlings in 1989. Well, at least that’s when his album, The Big Problem ≠ The Solution. The Solution = Let It Be, came out. I’m assuming the video came out at the same time. I love the genre listed on Wikipedia: Outsider music. I had no idea that was a label given to some music. That’s it! As much cult success as this video seems to have had over the years, much like David Hasselhoff’s cover of Hooked On A Feeling, I can’t find anything on this. 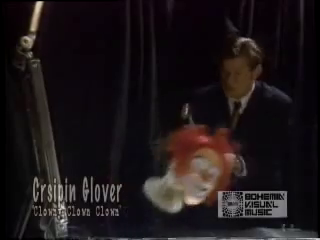 This entry was posted in music video and tagged Crispin Glover, music video. Bookmark the permalink.